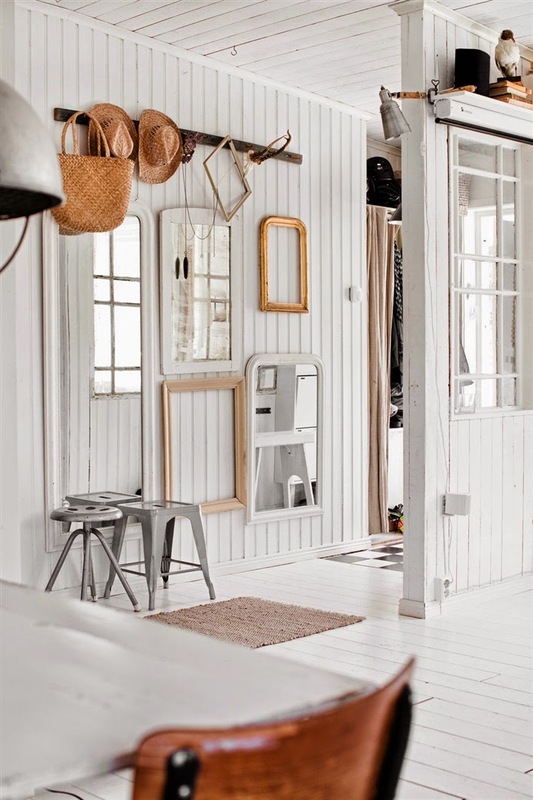 There’s no better place than home to relax and unwind, especially when you live in a Scandi-inspired space filled with character. 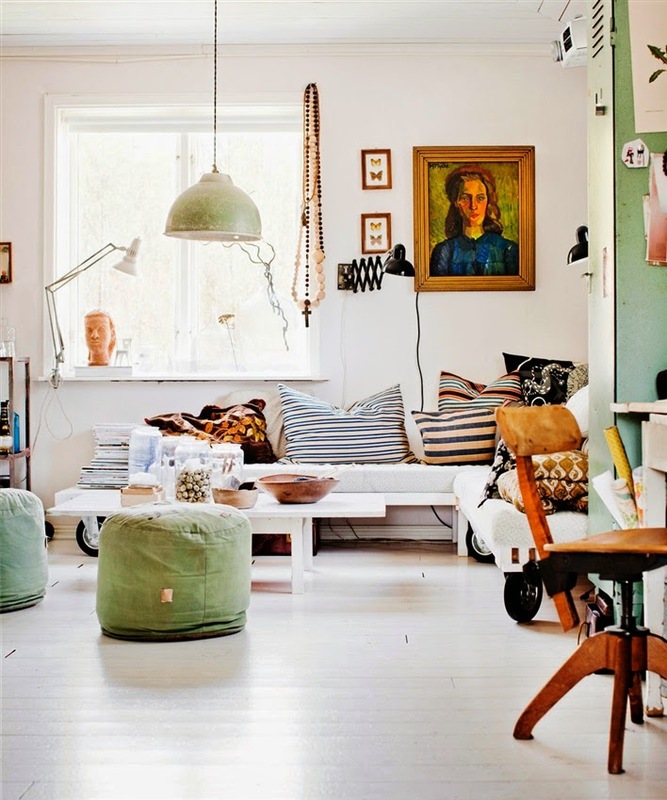 Swedish interior stylist Johanna Flyckt Gashi and husband Luzim with their three children live in such a happy cottage! 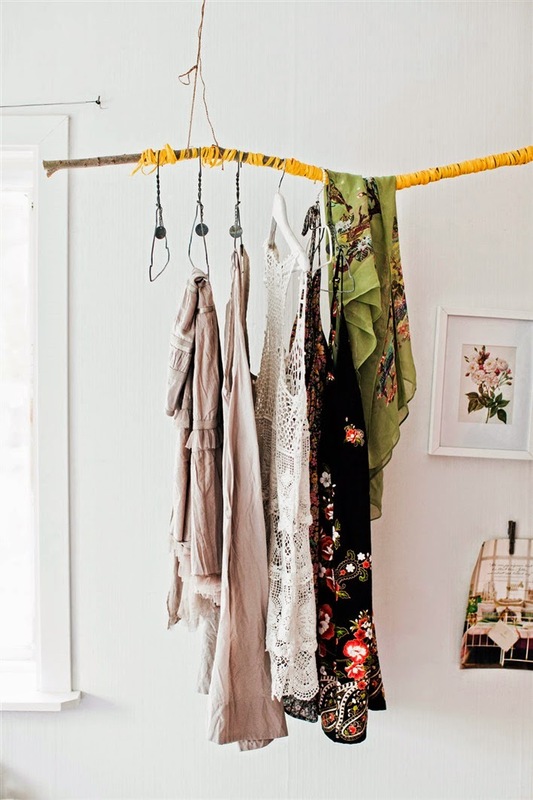 Family heirloom, antique and flea market finds create an entirely unique theme imbued with a personal touch. The white-walled rooms have been sprinkled with colorful works of art, accessories and a collection of vintage pieces and modern decor. What’s fascinating is the built-in couch supported by a set of wheels in the living room. Various patterned throws line the comfortable seat that’s surrounded by a number of artful elements radiating a joyful note. 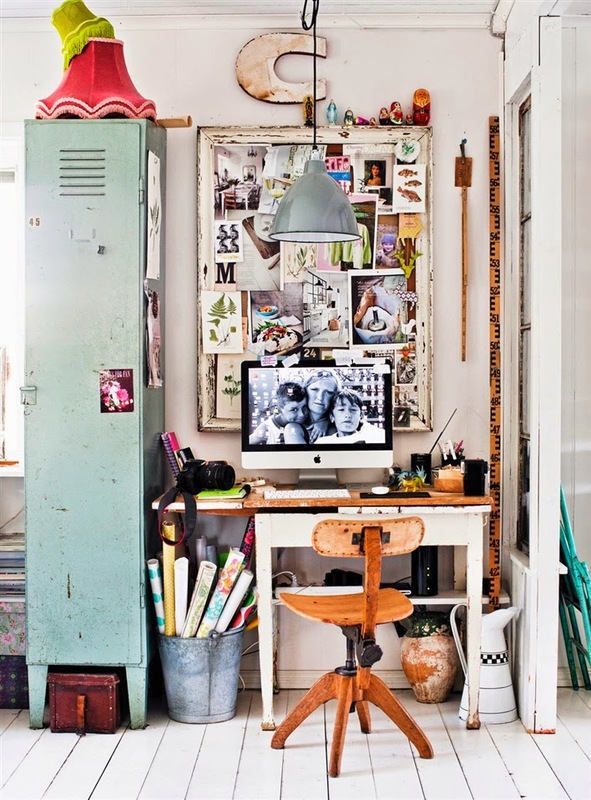 The single tall locker beside a creatively organized work space altogether elicit a light-hearted setting. Vases, a small chest and a bucket have been used as attractive storage. Treasured photographs in the large frame behind the desk instantly creates a homely atmosphere. 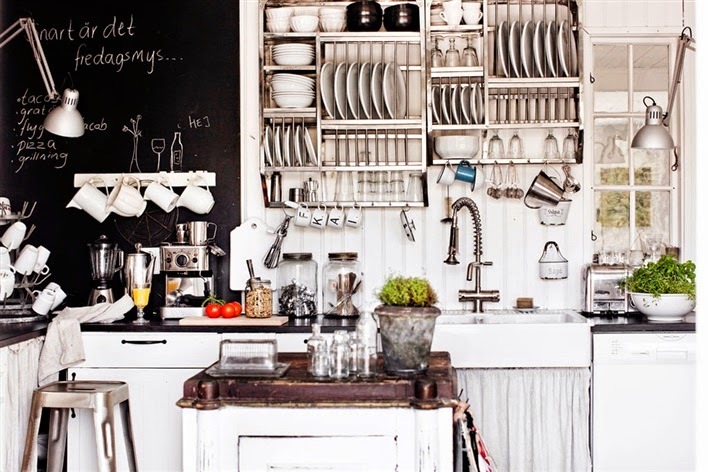 A picturesque kitchen is at the heart of the home. 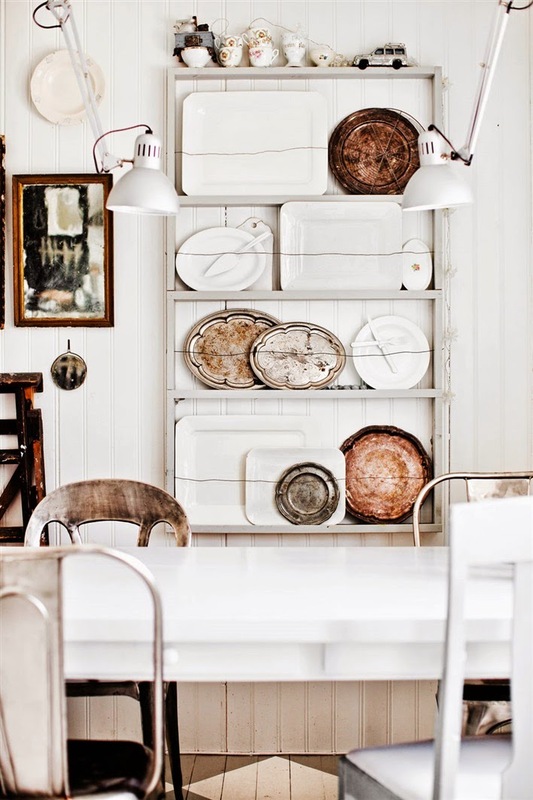 Dishware and utensils are neatly arranged in the upper shelves, while mugs are hung on racks and a carousel. 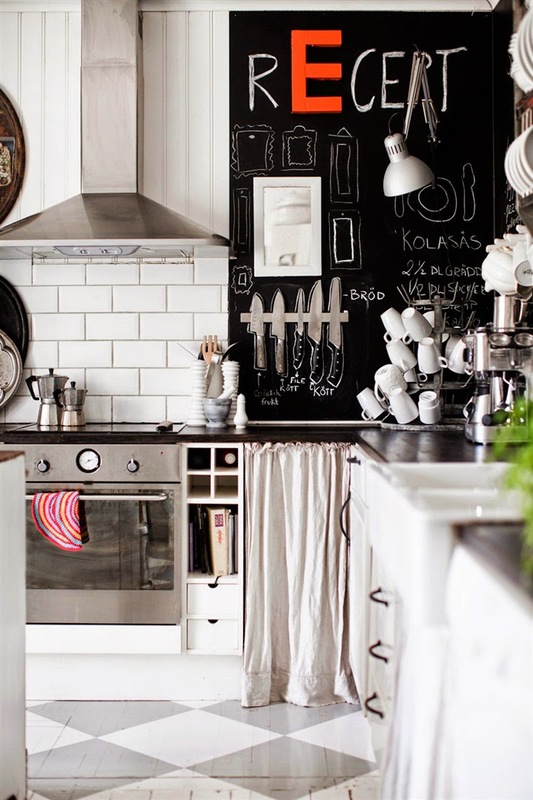 A chalkboard wall has got everything labelled and grants the freedom to scribble and simply have fun! White cabinetry, sink counter top and backsplash matches the rest of the home’s furniture and flooring. Generous seating is provided for by chairs and stools in varying colors and styles, mostly mismatched but perfectly complements the entire theme. Dining areas have tables bearing candle centerpieces in charming candleholders. The home is brightly lit with the sun’s rays passing through white windows and lighting fixtures of different shapes and sizes. 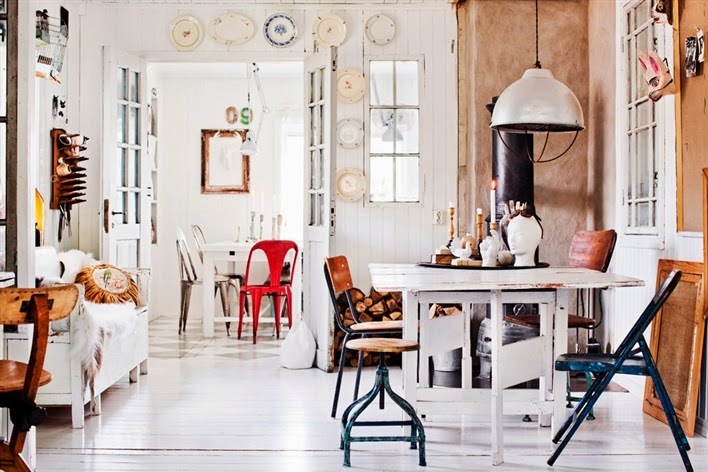 Old-time pieces, little trinkets, wooden components and woven crafts add texture while giving off a rustic feel that will make you warm and cozy. Happiness comes naturally in this lovely place that’s brimming with creativity and inspiration!